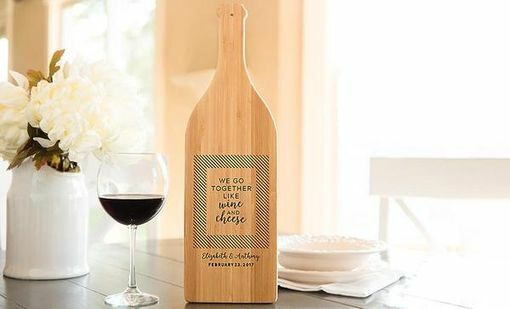 Our Wine Bottle Shaped Cutting Boards are perfect for your next wine and cheese party! Use them to prepare and serve appetizers and cheese plates; you'll be certain to make an impression on your guests. 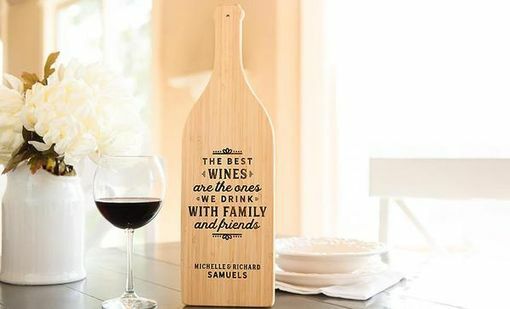 Pair one of these laser-engraved cutting boards with a bottle of fine wine and you will have a spectacular gift that will long be remembered. 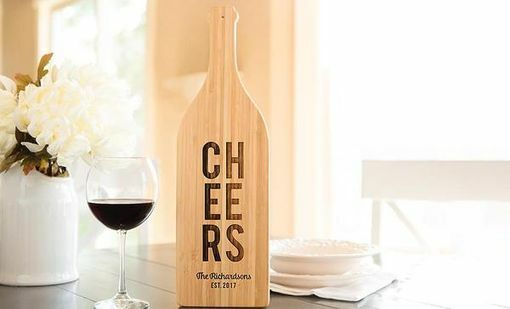 These boards make a wonderful gift to family and friends as a lovely wedding gift, an ideal hostess gift, a "welcome to the neighborhood" gift, and for Christmas, birthdays, or any other gift-giving occasion. 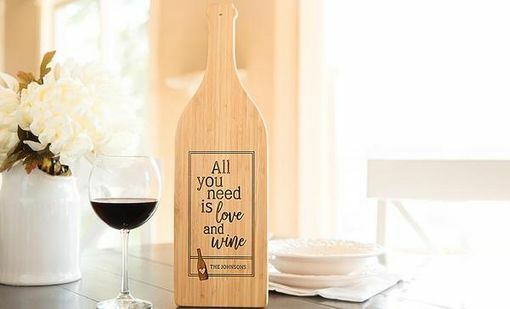 With a clever saying and your personalization, you'll want one for yourself to add a charming touch to your kitchen décor. These boards are made from high-quality bamboo, which does not shrink or swell, and is an ideal hard wood for cutting boards. Each board measures 16 ¾" x 5". Kay was so considerate and helpful, providing mock-ups before creating and then making adjustments quickly and efficiently. Shipping was super fast too! 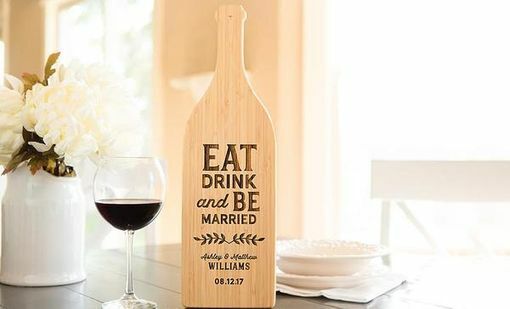 I absolutely LOVED the end result, and I know that my friend and his soon-to-be-wife will love it too! Thanks SO much for a beautiful board! !